When in Philadelphia you’ve got to stop by and see the Liberty Bell located at The Liberty Bell Center. You’ll probably only spend an hour or less here but it’s centrally located and it’s easy to park here and venture out to other places like Benjamin Franklin’s home, Independence Hall, The Constitutional center, Mint, and more. The parking garage is large and most of the places you want to visit (historical or food-related) are within a half mile of this parking garage. 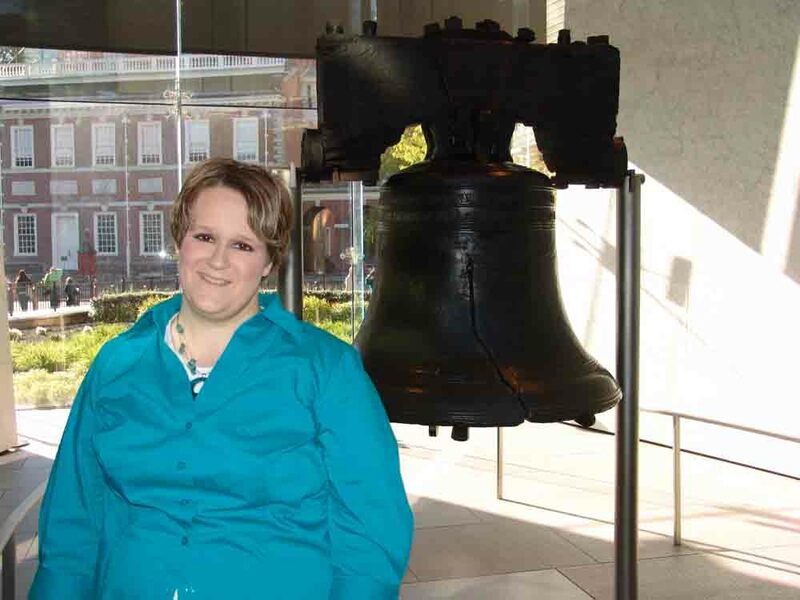 The Liberty Bell Center is free to visit and doesn’t require tickets. I’ve been here several times including once on a July 2nd. Even two days from the US’ Independence Day it wasn’t too crowded and I didn’t have to wait long. It has some nice exhibits including a short video about the bell, lots of clean bathrooms, and gift stores. I imagine that if the weather turned nasty while you were waiting to get on an Independence Hall tour, this is the place I’d want be. When you visit, I image that you’ll find the same thing I did…. yep, what’d ya know…the bell really does have a crack in it.